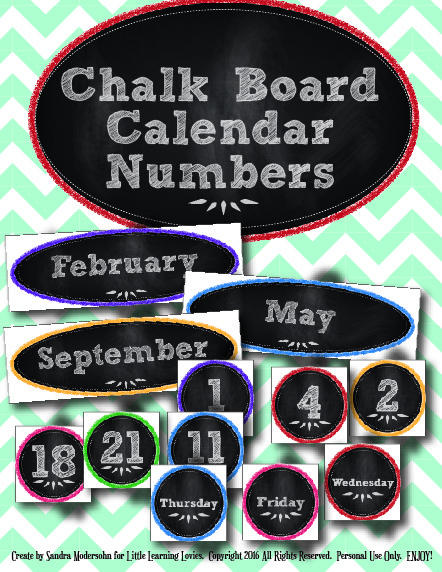 » New Chalk Board Calendar Numbers PLUS: IT’S HERE!!! After a discussion with a customer, I created these pretty Chalk Board Calendar Numbers! Aren’t they so cute? I’m working on a second set, similarly themed, but more square-ish. And with more features. But I just had to share these with you today and see what you think of them! Please, click the image to see the whole set in the new store! It’s Here! Build Your Bundle Sale Is LIVE! I have been waiting for WEEKS to share this sale with you! The Build Your Bundle Team has done an AMAZING job this year! The bundles are BIGGER. The prices are LOWER and, of course, you can BUILD YOUR OWN BUNDLES!!!! I LOVE that feature. I have a lot of favorite bundles this year and I’m having a hard time picking what I’m going to get. I love that if you buy two bundles, you can grab a third one free. That makes the choice a bit more fun, yes? The “Early Learning” bundle is chock full of some incredibly creative and useful resources for your little ones! Even if you only end up using 3 or 4 of the items in this bundle, it’s TOTALLY worth it! The Early Learning Bundle is one of the 15 individually themed bundles for sale at the 2016 Build Your Bundle Sale. Save 91% on this amazing bundle now through 5/23/16. It’s never too young to start training your child’s heart! This Early Learning Bundle contains age-appropriate Character Training and the K-3 Picture Smart Bible. It also features basic skills resources including a Complete Preschool Curriculum, a Reading Curriculum, an Art Curriculum, Activity Packs, and more! Not only are the prices already amazing at 86% – 96% off, you get a FREE bundle when you purchase 2 bundles! So far your total is $40. The retail value of these two bundles is $489.33! Now, make it ever better and select a 3rd bundle priced $29 or under for FREE – jacking the bundle value up to over $733 for just $40 – up to 95% off! Would your rather pick and choose what YOU want to purchase? You Can Build Your OWN Bundles! Bundle of Bonuses – FREE for all customers who make a purchase! Check out some of these exclusive deals!